LoKal Burgers and Beer opened up to much fanfare and burger hype from the usual folks. I’ll be honest I was kinda turned off to checking this joint out because of that. Kush, the owner is a big proponent of purchasing ingredients that are sustainable and locally sourced. His passion for it convinced me that I should give it the old college try. Pretty much everything in the place is recycled from the LoKal sign made from cork board, the cassette tape wrapped bar to the wooden pallet tables. There’s even a little area selling great locally made products like Copperpot’s Jams & Jellies (which I love). The Fresh Alligator Strips were calling my name but the New Mexico Chili had my attention the minute I looked at the menu. The chili which is topped with Monterrey Jack Cheese and diced Onions was riveting. I almost channeled my inner Johnny Depp (Once Upon a Time in Mexico style) and went back to the kitchen to take care of the chef. It was so good I was eating as if someone was going to take it away from me. The next thing I knew it was good and I still kinda miss it to this day. 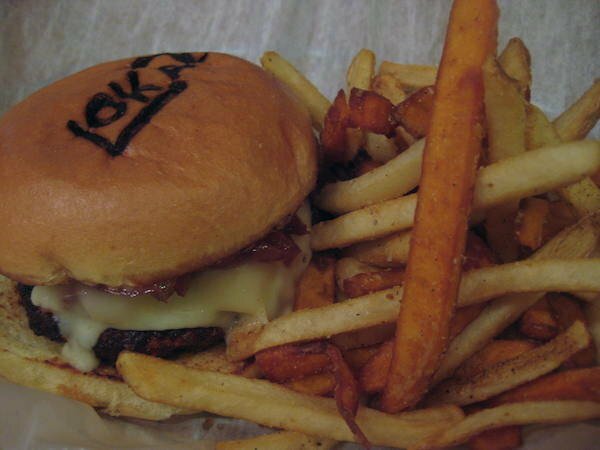 It’s clearly stated that Kush’s Favorite is LoKal’s version of a Frita topped with Guava Jelly, Melted Gruyere, Stuffed with Potato Sticks, Crispy Bacon, their Lokal Sauce and then pressed and cut in half. 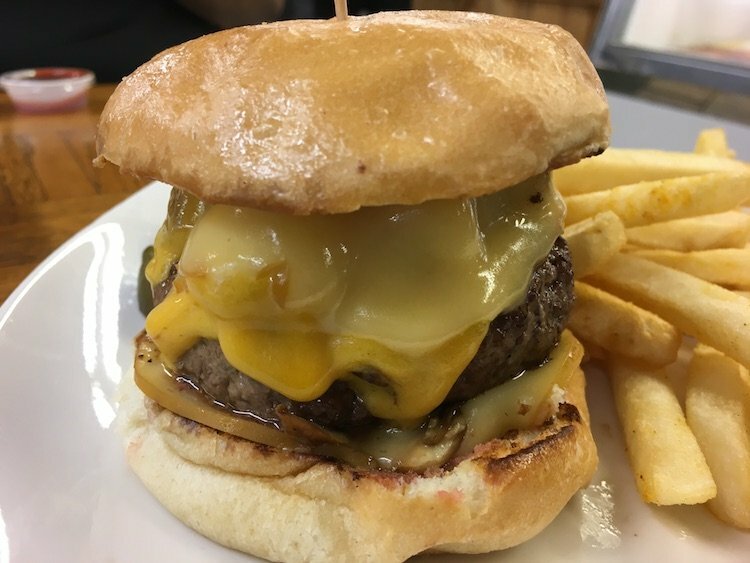 I will normally go for either the house specialty or just the restaurant’s straight up regular burger, in this case, the Classic. But…I chose the 50/50 (50% Florida ground beef & 50% Florida ground Bacon, served w/ Mayo, Monterrey Jack Cheese, Tomato and a Sweet Onion Marmalade). It’s served with 50% sweet potato fries, 50% french fries and homemade Ketchup and Honey Mustard dipping sauces. Take your pick, you won’t go wrong with either the regular or sweet potato fries. That honey mustard dipping sauce is pretty stupendous. The burger was everything you might expect and more. What really got me was the smokey taste that ran throughout the burger and how fresh it was. The Sweet Onion Marmalade added a nice sugary component that cut through slightly and complimented the meat. I’m sold and I’m looking forward to some more Chili and a Classic Burger. Or maybe the Alligator Strips and the Royale with Cheese? I’ll figure it out. 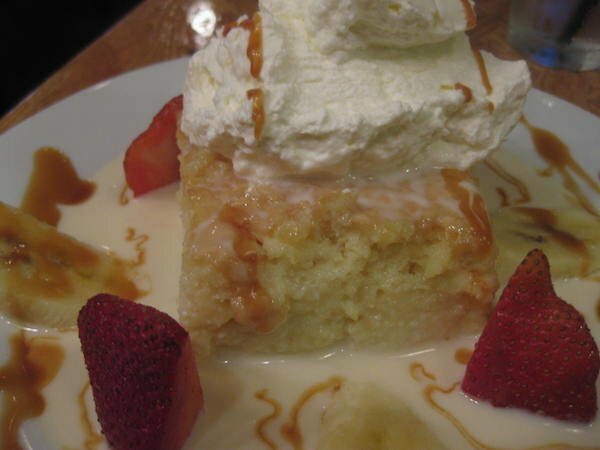 My pal Vane on the Street hit up The LoKal for dessert, check it out aqui. Happy you enjoyed it, their chili is awesome. Did you get a chance to try the Miami Heat burger? It’s amazing.